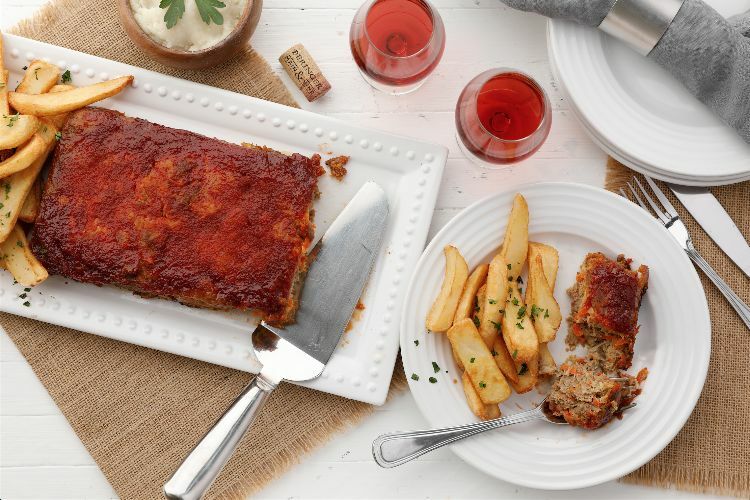 Meatloaf is a comfort food classic, but this version puts a bit of a spin on the original. Adding brown sugar to the ketchup mixture adds a gentle hint of sweetness as well as a richness from the caramelization that occurs naturally in the oven. It's sure to become a new favorite. Aside from flavor, one issue that folks often have with meatloaf is the texture. 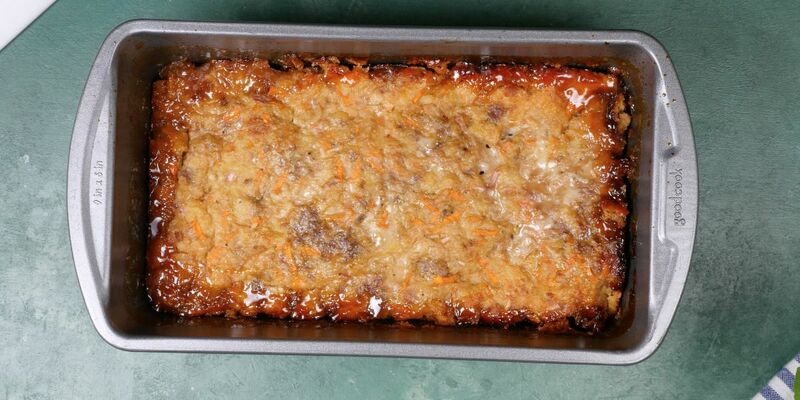 Meatloaf can easily become overly dry, an issue that this version overcomes by using milk-soaked bread and moisture-rich onion and carrot in the meat mixture. An added bonus? You sneak a serving of veggies into dinner. Preheat the oven to 350 degrees F. Lightly grease a loaf pan, line the bottom with parchment paper and grease once more. Press the brown sugar into the bottom of the pan. Spread the ketchup carefully over the sugar. Pour the milk into a bowl and add the sandwich bread to soak. In a large bowl, combine the ground beef, eggs, salt, pepper, onion, carrot and Worcestershire sauce. Tear the soaked bread into very small pieces and add to the mixture along with any leftover milk. Mix well to combine. Pour the meat mixture into a loaf pan. Bake for 1 hour. Allow the meatloaf to cool 5 minutes before unmolding upside down onto a platter so the glaze is on top. Slice and serve. You won't believe how many tasty recipes you can create wtih zucchini! The ultimate comfort food is only a recipe away! Love chicken piccata? To help you love it that little bit more, we've rounded up 7 delicious ways of enjoying it!